Professor Geoff Rose is the Director of Monash Institute of Transport Studies located within the Department of Civil Engineering at Monash University in Melbourne, Australia. Geoff ‘s research and teaching activities cover sustainable transport, travel behaviour, advanced technology and transport policy. Geoff is a Fellow of Engineers Australia and the US Institute of Transportation Engineers. He serves on the National Executive of the Australasian Transport Research Forum and is on editorial boards for ‘Transportation’ and the ‘IET Journal of Intelligent Transport Systems’ journals. Institution of Engineers, Australia, 1977-Present. Fellow 2012-Present. 2002, Editor in Charge 1995–2000. 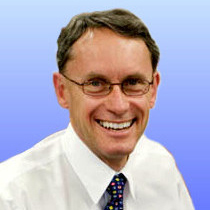 Victorian Transport Branch Committee, 1986-1999;Chairman, 1990. Rose, G., 2004, GPS and Vehicular Travel, in Handbook of Transport Geography and Spatial Systems, eds David A. Hensher et al, Elsevier Ltd, UK, pp. 451-467. Rose, G., Ampt, L., 2003, Travel behaviour change through individual engagement, in Handbook of Transport and the Environment, eds David A. Hensher and K. J. Button, Elsevier Science Ltd, UK, pp. 739-755. Dia, H., Rose, G., 1998, The Impact of Data Quality on the Performance of Neural Network Freeway Incident Detection Models, in Nural Networks in Transport Applications, Ashgate, Aldershot England, pp. 311-340. De Gruyter, C.L., Rose, G., Currie, G., 2015, Enhancing the impact of travel plans for new residential developments: Insights from implementation theory, Transport Policy [P], vol 40, Pergamon Press, Kidlington Oxford UK, pp. 24-35. Johnson, M., Rose, G., 2015, Extending life on the bike: Electric bike use by older Australians, Journal of Transport & Health [P], vol 2, issue 2, Elsevier, Kidlington Oxford UK, pp. 276-283. Delbosc, A., Rose, G., 2014, Characterizing usage patterns for powered two-wheelers from automatic vehicle identification data in Melbourne, Australia, Transportation Research Record-Series [P], vol 2468, US National Research Council Transportation Research Board, Washington DC USA, pp. 138-146. De Gruyter, C., Rose, G., Currie, G., 2014, Methodology for evaluating quality of travel plans for new developments, Transportation Research Record-Series [P], vol 2417, Transportation Research Board, Washington DC USA, pp. 46-57. De Gruyter, C., Rose, G., Currie, G., 2014, Securing travel plans through the planning approvals process: A case study of practice from Victoria, Australia, Cities [P], vol 41, issue Part A, Pergamon, Kidlington Oxford UK, pp. 114-122. Ahmed, F., Rose, G., Jakob, C., 2013, Commuter cyclist travel behavior, Transportation Research Record-Series [P], vol 2387, Transportation Research Board, Washington DC USA, pp. 76-82. Amani Jordehi, B., Rose, G., Thompson, R.G., 2013, Motorcycle and motor scooter use in Victoria, Australia, Transportation Research Record-Series [P], vol 2388, Transportation Research Board, Washington DC USA, pp. 61-70. Thompson, R.G., Rose, G., 2013, Use of powered two-wheelers in an Australian capital city, Transportation Research Record-Series [P], vol 2388, Transportation Research Board, Washington DC USA, pp. 54-60. Rose, G., 2012, E-bikes and urban transportation: emerging issues and unresolved questions, Transportation [P], vol 39, issue 1, Springer, New York NY USA, pp. 81-96. Dill, J., Rose, G., 2012, Electric bikes and transportation policy insights from early adopters, Transportation Research Record-Series [P], vol 2012, issue 2314, Transportation Research Board, Washington DC USA, pp. 1-6. Moridpour, S., Mazloumi Shomali, E., Sarvi, M., Rose, G., 2012, Enhanced evaluation of heavy vehicle lane restriction strategies in microscopic traffic simulation, Journal of Transportation Engineering [P], vol 138, issue 2, American Society of Civil Engineers, USA, pp. 236-242. Mazloumi Shomali, E., Moridpour, S., Currie, G., Rose, G., 2012, Exploring the value of traffic flow data in bus travel time prediction, Journal of Transportation Engineering [P], vol 138, issue 4, American Society of Civil Engineers, Reston VA USA, pp. 436-446. Moridpour, S., Rose, G., Sarvi, M., Mazloumi Shomali, E., 2012, Influence of the surrounding traffic characteristics on lane changing decision of heavy vehicle drivers, Road and Transport Research [P], vol 21, issue 3, ARRB Group Ltd, Vermouth South Vic Australia, pp. 19-33. Moridpour, S., Sarvi, M., Rose, G., Mazloumi Shomali, E., 2012, Lane-changing decision model for heavy vehicle drivers, Journal of Intelligent Transportation Systems: technology, planning, and operations [P], vol 16, issue 1, Taylor & Francis, USA, pp. 24-35. Wang, Y., Dong, W., Zhang, L., Chin, D., Papageorgiou, M., Rose, G., Young, W., 2012, Speed modeling and travel time estimation based on truncated normal and lognormal distributions, Transportation Research Record-Series [P], vol 2315, National Academies Press, Washington DC USA, pp. 66-72. Mazloumi Shomali, E., Rose, G., Currie, G., Sarvi, M., 2011, An integrated framework to predict bus travel time and its variability using traffic flow data, Journal of Intelligent Transportation Systems: technology, planning, and operations [P], vol 15, issue 2, Taylor & Francis, Pennsylvania USA, pp. 75-90. Shiwakoti, N., Sarvi, M., Rose, G., Burd, M., 2011, Animal dynamics based approach for modeling pedestrian crowd egress under panic conditions, Transportation Research, Series B: Methodological [P], vol 45, issue 9, Elsevier, Amsterdam Netherlands, pp. 1433-1449. Rose, G., 2011, Assessable online discussions to support postgraduate student learning in transport planning, Transportation Research Record-Series [P], vol 2211, Transportation Research Board, Washington DC USA, pp. 36-43. Shiwakoti, N., Sarvi, M., Rose, G., Burd, M., 2011, Consequence of turning movements in pedestrian crowds during emergency egress, Transportation Research Record-Series [P], vol 2234, Transportation Research Board, Washington USA, pp. 97-104. Li, R., Rose, G., 2011, Incorporating uncertainty into short-term travel time predictions, Transportation Research Part C: Emerging Technologies [P], vol 19, issue 6, Elsevier, Oxford UK, pp. 1006-1018. Mazloumi Shomali, E., Rose, G., Currie, G., Moridpour, S., 2011, Prediction intervals to account for uncertainties in neural network predictions: methodology and application in bus travel time prediction, Engineering Applications of Artificial Intelligence [P], vol 24, issue 3, Pergamon-Elsevier, Kidlington Oxford UK, pp. 534-542. Shiwakoti, N., Sarvi, M., Rose, G., Burd, M., 2010, Biologically inspired modeling approach for collective pedestrian dynamics under emergency conditions, Transportation Research Record-Series [P], vol 0.298, Transportation Research Board, Washington DC USA, pp. 176-184. Moridpour, S., Rose, G., Sarvi, M., 2010, Effect of surrounding traffic characteristics on lane changing behavior, Journal of Transportation Engineering [P], vol 136, issue 11, American Society of Civil Engineers, Virginia USA, pp. 973-985. Moridpour, S., Sarvi, M., Rose, G., 2010, Lane changing models: a critical review, Transportation Letters [P], vol 2, issue 3, J Ross Publishing, Inc, MA USA, pp. 157-173. Wang, Y., Papageorgiou, M., Gaffney, J., Papamichail, I., Rose, G., Young, W., 2010, Local ramp metering in random-location bottlenecks downstream of metered on-ramp, Transportation Research Record-Series [P], vol 2178, National Academies Press, Washington DC USA, pp. 90-100. Moridpour, S., Sarvi, M., Rose, G., 2010, Modeling the lane-changing execution of multiclass vehicles under heavy traffic conditions, Transportation Research Record-Series [P], vol 0.298, Transportation Research Board, Washington DC, pp. 11-19. Burd, M.C., Shiwakoti, N., Sarvi, M., Rose, G., 2010, Nest architecture and traffic flow: Large potential effects from small structural features, Ecological Entomology [P], vol 35, issue 4, Wiley-Blackwell, Malden Massachusetts USA, pp. 464-468. Mazloumi, E., Currie, G., Rose, G., 2010, Using GPS data to gain insight into public transport travel time variability, Journal of Transportation Engineering [P], vol 136, issue 7, American Society of Civil Engineers, Reston VA USA, pp. 623-631. Shiwakoti, N., Sarvi, M., Rose, G., Burd, M.C., 2009, Enhancing the safety of pedestrians during emergency egress, Transportation Research Record-Series [P], Transportation Research Board, USA, pp. 31-37. Moridpour, S., Rose, G., Sarvi, M., 2009, Modelling the heavy vehicle drivers’ lane changing decision under heavy traffic conditions, Road and Transport Research [P], vol 18, issue 4, ARRB Group Ltd, Melbourne Vic Australia, pp. 49-57. Seethaler, R., Rose, G., 2009, Using odometer readings to assess VKT changes associated with a voluntary travel behaviour change program, Transport Policy [P], vol 16, issue 6, Pergamon-Elsevier, UK, pp. 325-334. Paterson, D., Rose, G., 2008, A recursive, cell processing model for predicting freeway travel times, Transportation Research Part C, vol 16, Elsevier, Oxford UK, pp. 432-453. Rose, G., 2008, Encouraging sustainable campus travel: Self-reported impacts of a University TravelSmart initiative, Journal of Public Transportation [P], vol 11, issue 1, Center for Urban Transportation Research, University of South Florida, Tampa Florida USA, pp. 85-108. Toleman, R.F., Rose, G., 2008, Partnerships for progress toward sustainable road systems, Transportation Research Record, vol 0.206, Transportation Research Board, Washington DC USA, pp. 155-163. Garrard, J., Rose, G., Lo, S., 2008, Promoting transportation cycling for women: The role of bicycle infrastructure, Preventative Medicine, vol 46, issue 1, Elsevier, Exeter UK, pp. 55-59. Rose, G., Marfurt, H., 2007, Travel behaviour change impacts of a major ride to work day event, Transportation Research Part A – Policy and Practice, vol 41, issue 4, Elsevier Science Ltd, Oxford UK, pp. 351-364. Li, R., Rose, G., Sarvi, M., 2006, Evaluation of speed-based travel time estimation models, Journal of Transportation Engineering, vol 132, issue 7, American Society of Civil Engineers, USA, pp. 540-547. Rose, G., 2006, Mobile phones as traffic probes: practices, prospects and issues, Transport Reviews: The, vol 26, issue 3, Routledge Journals, UK, pp. 275-291. Seethaler, R., Rose, G., 2006, Six principles of persuasion to promote community-based travel behavior change, Transportation Research Record, vol 0.145, Transportation Research Board, USA, pp. 42-51. Li, R., Rose, G., Sarvi, M., 2006, Using automatic vehicle identification data to gain insight into travel time variability and its causes, Transportation Research Record, vol 0.145, Transportation Research Board, USA, pp. 24-32. McGeoch, C., Rose, G., 2003, Using base year matrix estimation adjustments to update future year OD matrices, Road & Transport Research, vol 12, issue 3, ARRB Transport Research Ltd, Vermont South Vic Australia, pp. 16-27. Hildebrand, E., Rose, G., 2002, Benchmarking Australian bus safety, Road & Transport Research, vol 11, issue 1, ARRB Transport Research, Vermont South Vic Australia, pp. 52-65. Rose, G., 2002, Providing premium carpool parking using a low-tech ITS initiative, ITE Journal, vol 72, issue 7, Institute of Transportation Engineers, Washington USA, pp. 32-36. Rose, G., Brownbridge, N., Hills, P.J., 2001, Modelling the effects of traffic-calming schemes, TEC (Traffic Engineering and Control), vol 42, issue 4, Hemming Group, UK, pp. 133-137. Rose, G., Ampt, E., 2001, Travel blending: an Australian travel awareness initiative, Transportation Research Part D, vol 6, Elsevier, Oxford UK, pp. 95-110. Rose, G., 2000, “Safe routes to school” implementation in Australia, Road and Transport Research, vol 9 issue 3, ARRB Transport Research, Melbourne Vic Australia, pp. 3-16. Rose, G., 2000, “Simulated Consulting” – A win-win experience in transport engineering education, European Journal of Engineering Education, vol 25 issue 1, Taylor & Francis, London UK, pp. 57-64. Rose, G., 2000, Australian initiatives for treatment of car dependence, Health Promotion Journal of Australia, vol 10 issue 3, Australian Health Promotion Association, Melbourne Vic Australia, pp. 203-205. Dia, H., Rose, G., 1997, A Variable Threshold Incident Detection Model, Journal of the Eastern Asia Society for Transportation Studies, vol 2, Eastern Asia Society for Transportation Studies, Tokyo Japan, pp. 1329-1345. Rose, G., 1997, Attitude and Travel Behaviour Changes using Survey Feedback: Insight from Dutch and Australian Experience, Journal of the Eastern Asia Society for Transportation Studies, vol 2, Eastern Asia Society for Transportation Studies, Tokyo Japan, pp. 1083-1097. Rose, G., 1997, Development and Evaluation of Neural Network Freeway Incident Detection Models Using Field Data, Transportation Research, Part C- Emerging Technologies, vol 5, Elsevier Science Ltd, UK, pp. 313-331. Rose, G., 1997, Transportation Planning on Trial: The Clean Air Act and Travel Forecasting, Urban Studies, vol 34, Carfax Publishing Ltd, UK, pp. 1920-1921. De Gruyter, C.L., Rose, G., Currie, G.V., 2015, Evaluating the effectiveness of travel plans for new residential developments, Proceedings of the 94th Annual Meeting of the Transportation Research Board (TRB), 11 January 2015 to 15 January 2015, US National Research Council Transportation Research Board, Washington DC USA, pp. 1-18. Amani Jordehi, B., Rose, G., 2014, Characteristics and motivations of PTW learner riders in Victoria, Australia, TRB 93rd Annual Meeting Compendium of Papers, 12 January 2014 to 16 January 2014, Transportation Research Board, Washington DC USA, pp. 1-15. Johnson, M., Rose, G., 2014, Electric bikes in Australia: Safety gains and some new concerns, Proceedings of the International Cycling Safety Conference 2014 (ICSC 2014), 18 November 2014 to 19 November 2014, Chalmers University of Technology, Gothenburg Sweden, pp. 1-13. De Gruyter, C.L., Rose, G., Currie, G.V., 2014, Evaluating travel plan quality for new developments: Methodology and case study from Victoria, Australia, TRB 93rd Annual Meeting Compendium of Papers, 12 January 2014 to 16 January 2014, Transportation Research Board, Washington DC USA, pp. 1-18. Rose, G., Delbosc, A.R., 2014, Understanding the use of powered two-wheelers for commuting: Case study of Melbourne, Australia, TRB 93rd Annual Meeting Compendium of Papers, 12 January 2014 to 16 January 2014, Transportation Research Board, Washington DC USA, pp. 1-10. De Gruyter, C., Rose, G., Currie, G., 2013, Assessing the quality of travel plans for new developments, Australasian Transport Research Forum 2013 Proceedings, 2 October 2013 to 4 October 2013, Australian National Audit Office, Canberra ACT Australia, pp. 1-18. Johnson, M., Rose, G., 2013, Electric bikes – cycling in the New World City: an investigation of Australian electric bicycle owners and the decision making process for purchase, Australasian Transport Research Forum 2013 Proceedings, 2 October 2013 to 4 October 2013, Australian National Audit Office, Canberra ACT Australia, pp. 1-10. Johnson, M., Rose, G., Oxley, J.A., 2013, Motorised mobility scooters – understanding a growing transport mode for older Australians, Australasian Transport Research Forum 2013 Proceedings, 2 October 2013 to 4 October 2013, Australian National Audit Office, Canberra ACT Australia, pp. 1-13. Delbosc, A.R., Rose, G., 2013, Powered-two-wheeler usage patterns on Melbourne tollways, Australasian Transport Research Forum 2013 Proceedings, 2 October 2013 to 4 October 2013, Australian National Audit Office, Canberra ACT Australia, pp. 1-10. Ahmed, F., Rose, G., Jakob, C., 2013, Sensitivity of commuter cyclist’s to changes in weather in two Australian cities, Proceedings of the 13th WCTR World Conference on Transport Research, 15 July 2013 to 18 July 2013, World Conference on Transport Research Society, Lyon France, pp. 1-14. Rose, G., Delbosc, A.R., 2013, The use of motorcycles and scooters for commuting to the Melbourne CBD, Australasian Transport Research Forum 2013 Proceedings, 2 October 2013 to 4 October 2013, Australian National Audit Office, Canberra ACT Australia, pp. 1-10. De Gruyter, C., Rose, G., Currie, G., 2013, Travel planning practice for new urban developments in Victoria, Australia, Australasian Transport Research Forum 2013 Proceedings, 2 October 2013 to 4 October 2013, Australian National Audit Office, Canberra ACT Australia, pp. 1-15. Amani Jordehi, B., Rose, G., Thompson, R.G., 2013, Understanding characteristics and motivations of learner riders of powered- two-wheelers in Melbourne, Australia, Proceedings of the 13th WCTR World Conference on Transport Research, 15 July 2013 to 18 July 2013, World Conference on Transport Research Society, Lyon France, pp. 1-10. Wang, Y., Dong, W., Chin, S., Papageorgiou, M., Rose, G., Young, W., 2012, A note on speed modeling and travel time estimation based on truncated normal and log-normal distribution, Proceedings of TRB 91st Annual Meeting, 22 January 2012 to 26 January 2012, Transportation Research Board, Washington DC USA, pp. 1-15. Ahmed, F., Rose, G., Figliozzi, M., Jakob, C., 2012, Commuter cyclist’s sensitivity to changes in weather: insight from two cities with different climatic conditions, Transport Research Board 2011 Annual Meeting Compendium of Papers, 22 January 2012 to 26 January 2012, Transportation Research Board, Washington DC USA, pp. 1-20. Williams, T., Rose, G., Davey, C., 2012, Evaluation of a suburban, campus-based bike arrival station, Transportation Research Board 2012 Annual Meeting Compendium of Papers, 22 January 2012 to 26 January 2012, Transportation Research Board, Washington DC USA, pp. 1-17. Rose, G., Thompson, R.G., Amani Jordehi, B., McClure, R.J., 2012, Understanding ownership and use of powered two wheelers in Melbourne, ATRF – 35th Australasian Transport Research Forum, 26 September 2012 to 28 September 2012, Australasian Transport Research Forum, Perth Western Australia, pp. 1-14. Mazloumi Shomali, E., Currie, G., Rose, G., Ceder, A., Moridpour, S., 2011, A practical tool to optimise transit schedule timing points and slack times: an ant algorithm application, Transportation Research Board 2011 Annual Meeting Compendium of Papers, 23 January 2011 to 27 January 2011, Transportation Research Board, Washington DC USA, pp. 1-18. Symmons, M., Rose, G., Rorke, J., Watkins, C., 2011, Ecodriving: insight from a real world fleet-based trial, Australasian Transport Research Forum 2011 Proceedings, 28 September 2011 to 30 September 2011, University of South Australia, SA Australia, pp. 1-10. Shiwakoti, N., Sarvi, M., Rose, G., 2011, Exploration of design solutions for the enhancement of crowd safety, Proceedings of ATRF 2011 – 34th Australasian Transport Research Forum, 28 September 2011 to 30 September 2011, Australasian Transport Research Forum, Adelaide SA, pp. 1-10. Rose, G., Ahmed, F., Figliozzi, M., Jakob, C., 2011, Quantifying and comparing the effect of weather on bicycle demand in Melbourne (Australia) and Portland (USA), Transportation Research Board 2011 Annual Meeting Compendium of Papers, 23 January 2011 to 27 January 2011, Transportation Research Board, Washington DC USA, pp. 1-18. Rose, G., Dill, J., 2011, Reactions and concerns with E-bikes in the USA: Insight from an exploratory, blogological study, Transportation Research Board 2011 Annual Meeting Compendium of Papers, 23 January 2011 to 27 January 2011, Transportation Research Board, Washington DC USA, pp. 1-17. Richardson, M., Rose, G., 2010, Alternative personal transportation: bridging the gap between cars and sustainable transport, 12th World Conference on Transport Research, 11 July 2010 to 15 July 2010, World Conference on Transport Research Society (WCTR), Lisbon, Portugal, pp. 1-21. Smit, R., Rose, G., Symmons, M., 2010, Assessing the impacts of ecodriving on fuel consumption and emissions for the Australian situation, Proceedings of the 2010 ATRF 33rd Australasian Transport Research Forum, 29 September 2010 to 1 October 2010, Australian National Audit Office, Canberra Australia, pp. 1-15. Rose, G., 2010, Evolving E-bike technology and its implications for light electric vehicle regulation, The 25th World Battery, Hybrid and Fuel Cell Electric Vehicle Symposium and Exhibition, 5 November 2010 to 9 November 2010, Electric Vehicle Symposium, Shenzhen China, pp. 1-6. Ahmed, F., Rose, G., Jakob, C., 2010, Impact on weather on commuter cyclist behaviour and implications for climate change adaptation, Proceedings of 2010 ATRF Australasian Transport Research Forum, 29 September 2010 to 1 October 2010, Australian National Audit Office, Canberra Australia, pp. 1-19. Rose, G., Luzun, S., Richardson, M., 2010, Insight from operation of a campus-based bicycle share scheme, Proceedings of the 12th World Conference on Transport Research, 11 July 2010 to 15 July 2010, World Conference on Transport Research Society (WCTR), Libson, Portugal, pp. 1-23. Moridpour, S., Rose, G., 2010, Lane Changing Behaviour of Heavy. Vehicle Drivers, 24th ARRB Conference Proceedings, 12 October 2010 to 15 October 2010, ARRB Group Ltd, Melbourne Australia, pp. 1-12. Wang, Y., Papageorgiou, M., Gaffney, J., Papamichail, I., Rose, G., Young, W., 2010, Local ramp metering in random-location bottlenecks downstream of metered on-ramp, Proceedings of Transport Research Board 89th Annual Meeting, 10 January 2010 to 14 January 2010, Transportation Research Board, Washington DC USA, pp. 1-20. Wang, Y., Papageorgiou, M., Gaffney, J., Papamichail, I., Rose, G., Young, W., 2010, Pi-Alinea for local ramp metering involved with random downstream bottlenecks, 24th ARRB Conference Proceedings, 12 October 2010 to 15 October 2010, ARRB Group Ltd, Melbourne Australia, pp. 1-14. Richardson, M., Vittouris, A., Rose, G., 2010, Socialised transport: increasing travel mode diversity through open-source vehicle design, upcycling, natural production and distributed production methods, Australasian Transport Research Forum 2010 Proceedings, 29 September 2010 to 01 October 2010, Transport and Regional Economics, Bureau of Infrastructure, Canberra, pp. 1-20. Mazloumi Shomali, E., Currie, G., Rose, G., Sarvi, M., 2010, Statistical confidence estimation measures for artificial neural networks: application in bus travel time prediction, Transportation Research Board Annual Meeting, 10 January 2010 to 14 January 2010, Transportation Research Board – National Academy, Washington DC USA, pp. 1-13. Toleman, R., Rose, G., 2010, Towards a legislative framework to deliver sustainable transport outcomes, Proceedings of the 12th WCTR World Conference on Transport Research, 11 July 2010 to 15 July 2010, World Conference on Transport Research Society (WCTR), Lisbon, Portugal, pp. 1-19. Toleman, R., Rose, G., 2010, Using infrastructure management to deliver sustainable outcomes, Proceedings of the 12 WCTR World Conference on Transport Research, 11 July 2010 to 15 July 2010, World Conference on Transport Research Society (WCTR), Lisbon, Portugal, pp. 1-22. Mazloumi Shomali, E., Currie, G., Rose, G., 2010, Using traffic flow data to predict bus travel time variability through an enhanced artificial neural network, Proceedings of the 12th WCTR World Conference on Transport Research, 11 July 2010 to 15 July 2010, World Conference on Transport Research Society (WCTR), Lisbon, Portugal, pp. 1-14. Shiwakoti, N., Sarvi, M., Rose, G., Burd, M.C., 2009, A hybrid model for collective motion of pedestrians, ATRF 2009 – 32nd Australasian Transport Research Forum, 29 September 2009 to 1 October 2009, Australasian Transport Research Forum, Auckland New Zealand, pp. 1-9. Moridpour, S., Sarvi, M., Rose, G., 2009, Acceleration behaviour of the heavy vehicle drivers during the lane changing manoeuvre, ATRF 2009 – 32 Australasian Transport Research Forum, 29 September 2009 to 1 October 2009, Australasian Transport Research Forum, Auckland New Zealand, pp. 1-10. Symmons, M.A., Rose, G., 2009, Ecodrive training delivers substantial fuel savings for heavy vehicle drivers, Proceedings of Driving Assessment 2009 Conference, 22 June 2009 to 25 June 2009, University of Iowa Press, http://www.drivingassessment.org, pp. 46-53. Rose, G., Richardson, M., 2009, Implications for road system management of emerging types of private passenger vehicles, ATRF 2009 32nd Australasian Transport Research Forum, 29 September 2009 to 1 October 2009, Australasian Transport Research Forum, Auckland, New Zealand, pp. 1-17. Rose, G., 2009, Motorcycles: A growing dot on the transport policy radar?, Proceedings of the 32nd Australasian Transport Research Forum (ATRF 2009), 29 September 2009 to 1 October 2009, Australasian Transport Research Forum, Wellington New Zealand, pp. 1-15. Toleman, R.F., Rose, G., 2009, Towards a moving target: delivering outcomes for sustainable transport, Proceedings of the 32nd Australasian Transport Research Forum (ATRF 2009), 29 September 2009 to 1 October 2009, Australasian Transport Research Forum, Wellington New Zealand, pp. 1-15. Rose, G., Symmons, M.A., 2009, Training heavy vehicle drivers to reduce fuel consumption: Results from a pilot EcoDrive project, Proceedings of the 88th Annual Meeting of the Transportation Research Board, 11 January 2009 to 15 January 2009, Transportation Research Board, Washington D.C. USA, pp. 1-14. Mazloumi Shomali, E., Currie, G.V., Rose, G., Sarvi, M., 2009, Using SCATS data to predict bus travel time, Proceedings of the 2009 Australasian Transport Research Forum (ATRF2009), 29 September 2009 to 1 October 2009, Australasian Transport Research Forum, Auckland New Zealand, pp. 1-14. Mazloumi Shomali, E., Currie, G.V., Rose, G., 2008, Causes of travel time unreliability – a Melbourne case study, Proceedings of the 31st Australasian Transport Research Forum (ATRF2008), 2 October 2008 to 3 October 2008, Department of Transport Victoria, Melbourne VIC Australia, pp. 195-202. Shiwakoti, N., Sarvi, M., Rose, G., 2008, Modelling pedestrian behaviour under emergency conditions; State of the art and future directions, Proceedings of the 31st Australasian Transport Research Forum (2008 ATRF), 2 October 2008 to 3 October 2008, Department of Transport Victoria, Melbourne VIC Australia, pp. 457-473. De Alwis-Edrisinha, A.L., Clements, J.A., Rose, G., 2008, Pursuing mutual recognition for bus and coach operator accreditation in Australia – principles, progress and prospects, Proceedings of the 31st Australasian Transport Research Forum (2008 ATRF), 2 October 2008 to 3 October 2008, Department of Transport Victoria, Melbourne VIC Australia, pp. 359-372. Rose, G., Symmons, M.A., 2008, Testing EcoDriver training in Australian conditions, Proceedings of the Australasian Transport Research Forum (2008 ATRF), 2 October 2008 to 3 October 2008, Department of Transport Victoria, Melbourne VIC Australia, pp. 183-193. Symmons, M.A., Rose, G., Van Doorn, G.H., 2008, The effectiveness of an ecodrive course for heavy vehicle drivers, Proceedings of the Australasian Road Safety Research, Policing and Education Conference 2008, 9 November 2008 to 12 November 2008, Adelaide Department for Transport, Energy and Infrastructure, Walkerville SA Australia, pp. 1-8. Moridpour, S., Sarvi, M., Rose, G., Ramsay, E., 2008, Variables influencing lane changing behaviour of heavy vehicles, Proceedings of the Australasian Transport Research Forum (2008 ATRF), 2 October 2008 to 3 October 2008, Department of Transport Victoria, Melbourne VIC Australia, pp. 1-15. Toleman, R.F., Rose, G., 2007, A pathway to sustainable transport, Proceedings of the 30th Australasian Transport Research Forum – 2007 ATRF, 25 September 2007 to 27 September 2007, Department of Infrastructure, Victoria, Melbourne VIC Australia, pp. 1-15. Rose, G., 2007, Appraisal and evaluation of travel demand management measures, Proceedings of the 30th Australasian Transport Research Forum – 2007 ATRF, 25 September 2007 to 27 September 2007, Department of Infrastructure, Victoria Australia, Melbourne VIC Australia, pp. 1-18. Rose, G., 2007, Combining intercept surveys and a self-completion questionnaire to understand cyclist use of off-road paths, Proceedings of the 86th Annual Meeting of the US Transportation Research Board, 21 January 2007 to 25 January 2007, US Transportation Research Board, Washington D.C. USA, pp. 1-19. Li, R., Rose, G., Sarvi, M., 2007, Modelling and estimation of travel time variability, Proceedings of the 86th Annual Meeting of the US Transportation Research Board, 21 January 2007 to 25 January 2007, US Transportation Research Board, Washington D.C. USA, pp. 1-14. Moridpour, S., Sarvi, M., Rose, G., 2007, Modelling lane changing behaviour of heavy commercial vehicles, Proceedings of the 30th Australasian Transport Research Forum – 2007 ATRF, 25 September 2007 to 27 September 2007, Department of Infrastructure, Victoria Australia, Melbourne VIC Australia, pp. 1-15. Li, R., Rose, G., Sarvi, M., 2007, Predicting travel time and its variability in the short term, Proceedings of the 14th World Congress on Intelligent Transport Systems – ITS for a Better Life, 9 October 2007 to 13 October 2007, Research Institute of Highway, Ministry of Communications, Beijing China, pp. 1-14. Phung, J., Rose, G., 2007, Temporal variations in usage of Melbourne’s bike paths, Proceedings of the 30th Australasian Transport Research Forum – 2007 ATRF, 25 September 2007 to 27 September 2007, Department of Infrastructure, Victoria Australia, Melbourne VIC Australia, pp. 1-15. Rose, G., 2006, Learning (in more ways than one) about the users of Melbourne’s off-road bicycle paths, Transport: Making the Most of It – putting the spotlight on Transport Planning & Policy – Putting Research into Practice: Proceedings of the 29th Australasian Transport Research Forum 2006 –, 27 September 2006 to 29 September 2006, QLD Transport and Main Roads, Brisbane Qld Australia, pp. 1-12. Seethaler, R., Rose, G., 2005, Using the six principles of persuasion to promote travel behaviour change: Findings of a TravelSmart pilot test, Transporting the Future: Transport in a changing environment: Proceedings of The 28th Australasian Transport Research Forum, 28 September 2005 to 30 September 2005, Department of Planning NSW, Sydney NSW Australia, pp. 1-18. Rose, G., Marfurt, H., Harbutt, P., 2004, Using a ‘Ride to Work’ Day event as a travel behaviour change initiative, Transportation Research Board 83rd Annual Meeting Compendium of Papers CD-ROM, 11 January 2004 to 15 January 2004, US Transportation Research Board (US TRB), Washington USA, pp. 1-17. Seethaler, R., Rose, G., 2003, Application of psychological principles to promote travel behaviour change, Proceedings of 26th Australasian Transport Research Forum – Leading Transport Research in the 21st Century, 1 October 2003 to 3 October 2003, New Zealand Institute of Highway Technology, New Zealand, pp. 1-25. Chan, M., Rose, G., 2003, Using GPS to monitor the impact of an in-vehicle navigation system on driving behaviour, SATNAV 2003: Proceedings of The 6th International Conference on Satellite Navigation Technology Including Mobile Positioning & Location Services, 22 July 2003 to 25 July 2003, Menay Pty Ltd, Milton Qld Australia, pp. 1-12. Rose, G., Marfurt, H., Harbutt, P., 2003, Using a ride to work day event to promote travel behaviour change, Leading Transport Research in the 21st Century: Proccedings of the 26th Australasian Transport Research Forum, 1 October 2003 to 3 October 2003, New Zealand Institute of Highway Technology, New Plymouth New Zealand, pp. 1-15. Paterson, D., Rose, G., 1999, Dynamic travel time estimation on instrumented freeways, ITS: SMARTER, SMOOTHER, SAFER, SOONER – TORONTO 99 World Congress on Intelligent Transport Systems, 8 November 1999 to 12 November 1999, ITS America, Washington USA, pp. 1-11. Paterson, D., Rose, G., Bean, S., 1999, Improving dynamic travel time estimates for Melbourne’s Drive Time System, Proceedings of ITS Australia ’99 – Smart Solutions at Work, ITS Australia (CDRom), Adelaide SA Australia, pp. 1-10. Dia, H., Rose, G., 1998, Assessing the performance of artificial neural network incident detection models, Transportation Networks: Recent Methodological Advances, 9 September 1996 to 11 September 1996, Pergamon, Kidlington United Kingdom, pp. 255-272. Rose, G., Paterson, D., 1998, Delays at Freeway Roadworks : Safety and Road User Cost Considerations, Transport ’98 Proceedings from the 19th ARRB Transport Research Conference, 7 December 1998 to 11 December 1998, ARRB Transport Research, Melbourne Vic Australia, pp. 1-15. Hynes, J., Rose, G., 1998, Travel Demand Management and its Application at Australian University Campuses, Transport ’98 Proceedings from the 19th ARRB Transport Research Conference, 7 December 1998 to 11 December 1998, ARRB Transport Research, Melbourne Vic Australia, pp. 1-16. Rose, G., Ampt, L., 1997, Travel Blending: An Australian Travel Awareness Initiative, Proceedings of CAITR ’97, 25 November 1997 to 26 November 1997, Institute of Transport Studies, Monash University, Melbourne Vic Australia, pp. 1-8. Rose, G., 1997, Variable Speed Control on Freeways: A Review of Recent European Experience, ITSA 97 Conference Proceedings and ITS Australia Industry Capability Register, ITS Australia, Brisbane Qld Australia, pp. 1-16.